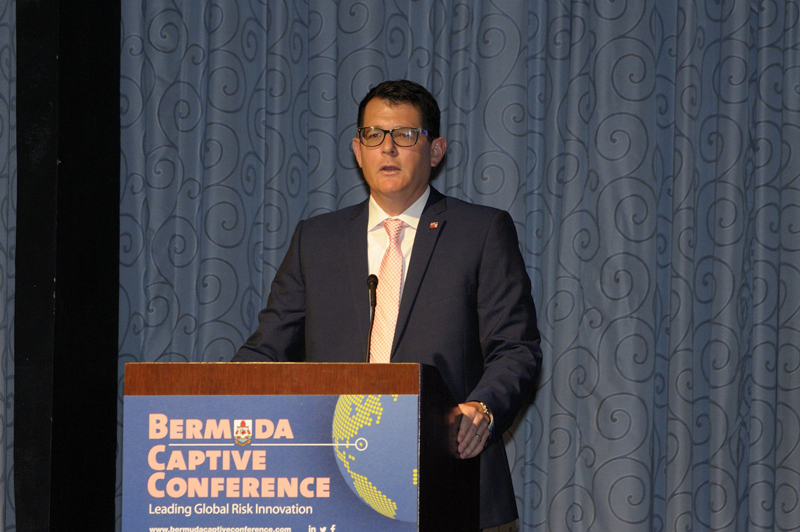 The Bermuda insurance market’s leading role in global risk innovation, including helping communities rebuild after disasters, was highlighted at this week’s successful 13th annual Bermuda Captive Conference. The conference attracted more than 750 registrants, totalling almost 800 room nights at Fairmont Southampton, the venue for the three-day event. The conference attracted captive owners, managers, brokers and service-providers who enjoyed a full agenda of topics ranging from insurtech and cyber-risk to claims handling and investment strategies. “We’ve had a very successful conference,” said Conference Chair David Gibbons. “Notably, several new and prospective captive owners came to see first-hand what Bermuda has to offer. Most attendees travelled to the island from the United States, but delegates also came from the UK, Canada and Europe. Countries represented included Belgium, France, Germany, Ireland, Japan, the Netherlands, Canada, the UK and US. The aftermath of Hurricane Irma, which temporarily shut down flights through Miami, caused about 50 cancellations by registrants to the conference, primarily from Latin America. 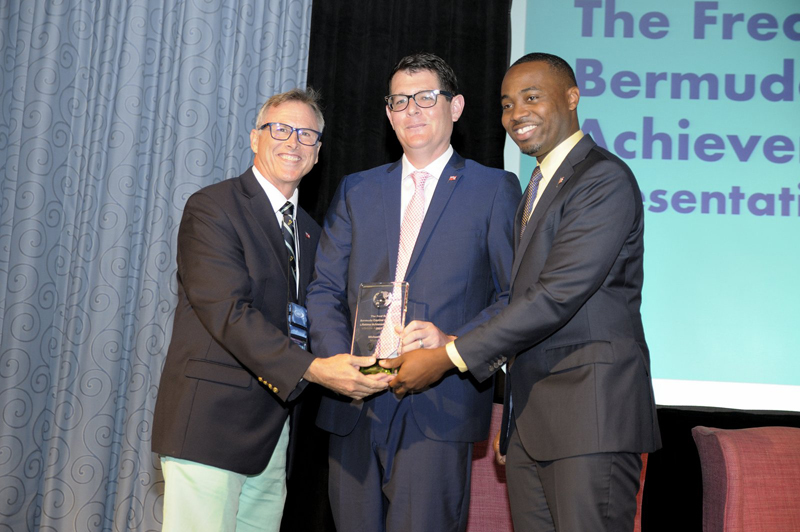 Premier David Burt officially opened the event Monday, welcoming delegates and saluting the Bermuda market’s central role in the global insurance sphere. “It is a market that has long been a symbol of global excellence to corporations around the world, and which has provided captive services for half a century,” the Premier said. Bermuda is the top global captive jurisdiction, home to close to 800 captive insurance companies supporting primarily Fortune 500 corporations in the US and generating over $55 billion in annual gross written premiums. The recent spate of major Atlantic hurricanes also spurred discussion at the conference—heavily highlighting the value of the industry, through billions of dollars of claims payments, in helping communities and business recover and rebuild after catastrophic events like Hurricane Irma. 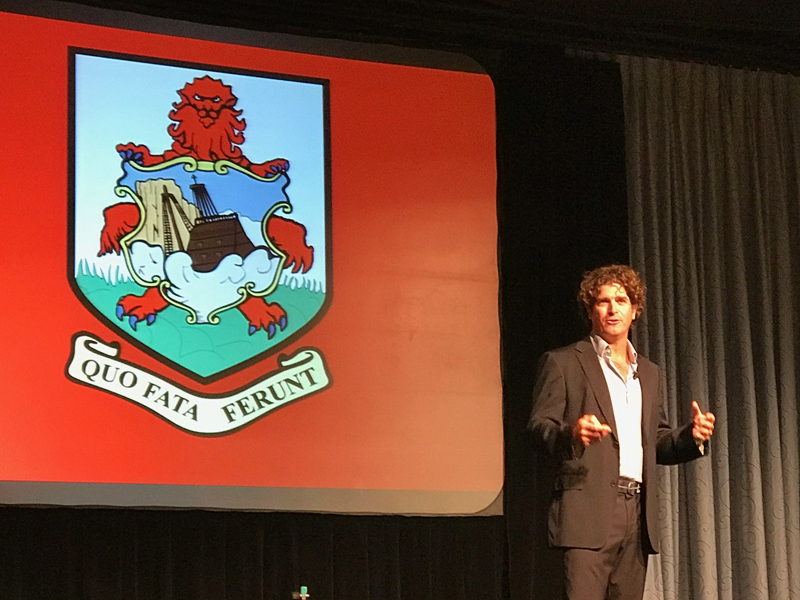 “The commercial and excess carriers may be covering in the high numbers, but captives will be covering their fair share, as well, whether it’s hardware-store owners, or hospitals that may have part of their property or business interruption covered via their Bermuda captive,” said Grainne Richmond, President of the Bermuda Insurance Management Association [BIMA]. “While exact numbers are not yet known, it is agreed by all that the support the captive industry provides will be substantial. Economic Development Minister Jamahl Simmons took part in an opening-panel discussion moderated by Richmond that focused on Bermuda’s top-tier global reputation and the benefit of foreign insurance and reinsurance to countries around the world. He also discussed innovation and industry trends with BDA Chairman and former Appleby managing director Kiernan Bell; Bermuda Monetary Authority [BMA] CEO Jeremy Cox; and Alan Gier, Global Director of Risk Management & Insurance at General Motors and President of the Bermuda Captive Owners Association [BCOA]. Other conference highlights included a global economic outlook delivered by economists Ryan Wang of HSBC Securities and Henk Potts of Barclays Wealth, and a workshop on how to form a Bermuda captive featuring Butler University representatives who this year launched the world’s first student-run captive in Bermuda. Keynote speaker Philippe Rouja engaged a packed lunchtime audience Tuesday with an entertaining presentation on Bermuda shipwrecks. The talk wove folklore and fact from Bermuda’s past, including stories of spies and scientists, with demonstrations of 3D underwater videography using blockchain technology. Michael Burns, a leading Bermudian corporate lawyer, received the second Fred Reiss Lifetime Achievement Award at Monday morning’s opening presentation. He has been central to various legislative initiatives for the industry over the years, including the current Incorporated Segregated Accounts Companies Act 2017 [ISAC] bill being tabled this fall. 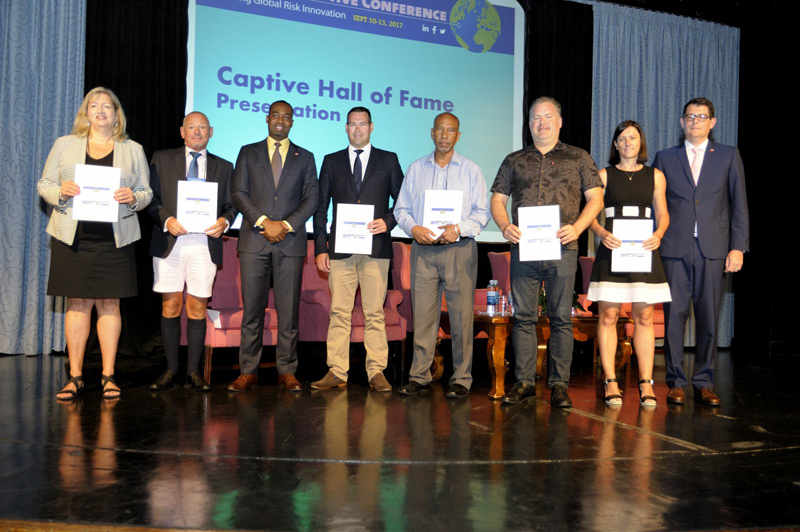 The conference also celebrated this year’s inductees to the Bermuda Captive Hall of Fame, an honour awarded to companies that have committed at least 25 years to the island’s market. They included: Coventry Assurance, ED&F Man Holdings Insurances, Lumbermen’s Insurance Company, Majestic Insurance International, OPK Insurance Co, Pediatric Assurance Company, Beacon Insurance Company and Pleiades Insurance Company, all incorporated in Bermuda in 1992. The conference programme was extended to three full conference days this year from two and a half previously to make room for Sunday afternoon leisure activities, including golf and a nature hike. The Bermuda Captive Conference returns to its former spring slot next year, running June 11–13, 2018.